The charges are brought by a department administrator, usually the police commissioner or chief of police, following an internal affairs investigation that results in findings of misconduct and a recommendation of charges. Teletypes are widely circulated within police departments but are rarely seen by the public. A source later provided Newsday, on the condition of anonymity, hundreds of pages of teletypes that included some of the officers’ names. Newsday was able to identify additional officers through other public databases, court records and interviews with police. The Nassau Police Department did not provide any such records in response to Newsday’s public records request. In total, Newsday identified more than 200 officers linked to misconduct cases by departmental charges, jury verdicts or multiple court settlements. The total number of misconduct cases is unknown because the 50-a law makes a comprehensive accounting impossible. More than 100 cops involved in serious misconduct cases either remain on the job or continued to work for years before retiring. They include Nassau Officer Anthony DiLeonardo, who was found in an internal affairs investigation to have shot and beat an unarmed cabdriver without justification while off-duty in 2011 after a night of drinking. At least 47 officers faced administrative or criminal charges for lying to internal affairs or supervisors, committing perjury or falsifying police paperwork — offenses that lead to termination in some states. Of the 22 officers Newsday was able to identify by name, 15 remain on the job, five retired and one was terminated after committing other violations. Suffolk Officer Philip Branigan, was suspended without pay when he faced departmental charges of falsely reporting a crime. He retired a month later. Branigan later joined the Suffolk District Attorney’s Office as an assistant district attorney. The Suffolk Police Department has charged at least 11 officers with faking a medical disability to collect a full salary on leave “while engaging in activities that contradict” the claimed physical condition. One of them was terminated. The resolution is unknown in four of the cases, and the charges were withdrawn for reasons not specified in two others. In the remaining four cases, the officers lost accrued leave. Of the officers still on the job, one had claimed he was so injured he couldn’t handle answering a phone at work, and another was caught working a second job as an auto mechanic. At least 33 officers have retired with serious misconduct charges against them pending, and Newsday was able to find only six officers who were officially terminated since 2003. Nassau Det. Sgt. William Kaul injured another driver and left the scene in a January 2010 car crash. The department suspended Kaul for 30 days without pay and then allowed him to return to administrative duties, but he retired two months after the accident with an $80,966 pension. He also faced criminal charges of official misconduct, obstructing governmental administration and leaving the scene of an accident. Kaul pleaded guilty to official misconduct in April 2012, and he received a conditional discharge and a $500 fine. At least 49 Nassau and Suffolk cops have been sued more than once, most often for excessive force. Nassau Officer Karl Snelders has been sued three times, with each case settled. Suffolk Det. Tulio Serrata has been sued five times for excessive force, with juries ruling in his favor twice, one case dismissed, one settled and one pending. Nassau and Suffolk counties have had to pay more than $30 million to settle misconduct allegations against the Nassau and Suffolk County police departments since 2002, records show. The actual amount could be higher because settlement agreements can be sealed. Local lawmakers have failed to address these issues. Just in the past six months, Newsday published investigations that revealed findings in DiLeonardo’s off-duty shooting and beating of an unarmed cabdriver; that Southampton Town officials allowed a Southampton police lieutenant to avoid charges that he’d lied to investigators about his handling of an officer’s drug addiction; that two Suffolk officers severely beat a 19-year-old who later died from his injuries; and that Nassau County’s deadly force investigators have not found a police use of deadly force to be unjustified since at least 2006. None of these issues, or any related to officer misconduct, were discussed in the county legislatures’ public safety committees, which can hold hearings and propose legislation as part of their role providing oversight of law enforcement. Legis. Dennis Dunne (R-Levittown), chairman of Nassau’s public safety committee, said lawmakers would pass laws to address police misconduct issues if they became aware of a problem. But they can’t discuss specific cases because the 50-a law makes it illegal for them to do so, he said. Last week, Newsday presented some of its conclusions to 82 elected officials who represent Long Islanders, and also invited them to participate in a survey about police misconduct and related issues. Eighteen said there was a need for increased police oversight, including Nassau District Attorney Kathleen Rice. Three said there was no need for more oversight. The remaining 61 either did not answer or declined to comment, including Gov. Andrew M. Cuomo, Nassau County Executive Edward Mangano and Suffolk County Executive Steve Bellone. Suffolk Police Commissioner Edward Webber did not respond to messages. 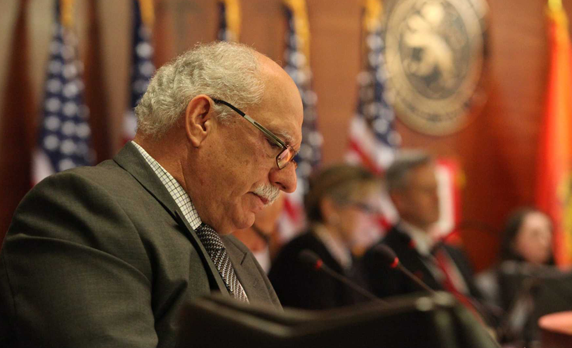 The two departments provided Newsday with figures showing they’ve conducted more than 1,150 internal affairs investigations combined since 2008. Citing the 50-a law, they declined to say how many of the charges were founded and also denied Newsday’s requests for civilian complaints. This month, New York’s Committee on Open Government, a state body that issues recommendations on how to interpret the public records law, decided to call for the state Legislature to review the 50-a law. Committee executive director Robert Freeman said law enforcement agencies across the state use the provision to hide unflattering information. Newsday’s investigation found numerous examples of serious misconduct that often did not result in termination. Nassau highway patrol Officer Joseph Lynch stayed on the job for six years after investigators with the Nassau District Attorney’s Office found in 2005 he had manipulated drunken driving arrests to boost his overtime. Lynch stopped people, often without probable cause, late in his shift to stay on the clock while he processed the arrest, according to the DA’s investigation. Lynch earned $58,399 in overtime pay in 2004, about a third of his $168,637 earnings. The department assigned him to desk duty but restored him to street duty in January 2008. After getting caught doing the same thing again, Lynch retired in 2011. He collects a $121,452 annual pension. Suffolk Det. Dennis Mannix did not safeguard jewelry recovered in a 2009 burglary investigation, and the jewelry was “lost or stolen due to his failure,” according to departmental charges. 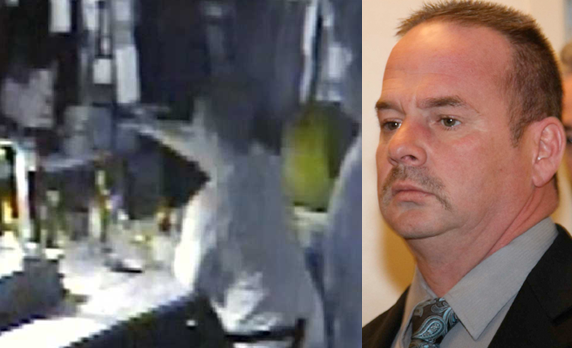 Mannix then faked paperwork and did not file the burglary incident in the department’s computer system, “concealing the facts from his supervisors” for more than a year, the charges show. He also “concealed from the District Attorney’s Office” that the jewelry was missing, and “misled the complainant” whose jewelry had been stolen. Mannix “acknowledged general misconduct,” forfeited 60 days of accrued leave and was placed on two years probation where additional misconduct could result in “a suitable penalty,” the charges show. Mannix earned $179,539 in the most recent budget year. At least eight police officers faced departmental charges for improperly accessing police computers or the state’s confidential Department of Motor Vehicles database for personal reasons, such as checking on women or a neighbor with whom they were feuding. Suffolk Officer Lonny Krimsky used police computers to look up his estranged wife’s new boyfriend, according to departmental charges. Three were suspended without pay, four lost accrued leave and, in one case, the charges were withdrawn. Five remain on the job, including Krimsky, who acknowledged general misconduct and agreed to forfeit five days of accrued leave, records show. The others retired. A Suffolk officer, whose name is redacted in documents, continued cashing government-subsidized rent checks for three months after the tenant of his rental property had died, according to departmental charges. The officer then altered dates on a county police report he submitted to the Community Development Corp. of Long Island, which distributes federal rent money, the records show. He was caught in a routine check and paid the money back, Community Development Corp. officials said. They did not refer the case for criminal charges. The department punished the officer by taking away 10 days of accrued leave, according to department records. 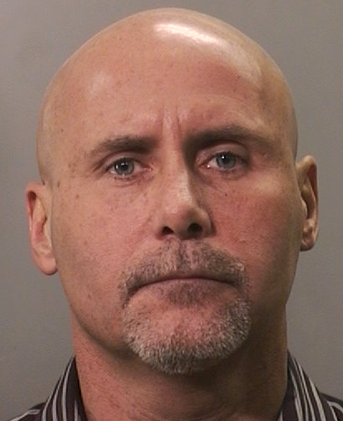 Nassau Officer Richard Hefferon pleaded guilty to third-degree menacing after pointing a gun at the head of a Farmingdale bar manager while off duty in April 2011. The incident was caught on video. A judge recently sentenced him to 150 hours of community service and prohibited him from carrying a gun while off duty for two years, but he kept his job. Hefferon made $132,699 in the most recent budget year. 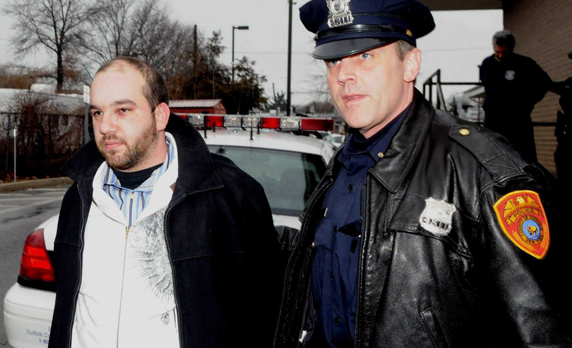 Suffolk Officer Daniel Salvatore in June 2010 “conducted an improper search by patting down a female passenger of a vehicle in order to intimidate her,” according to departmental charges. Later that month, Salvatore twice contacted a woman he’d encountered “during a previous call for service” to establish “a personal relationship with that individual, who was clearly opposed to his advances.” Salvatore acknowledged general misconduct and agreed to forfeit two days of accrued leave, according to department records. Nassau Officer Anthony Raymond shot and killed Christopher Wade in a high-profile 1995 case. Raymond fired 16 shots, including some after he reloaded his weapon when his gun jammed, according to a police department review of the incident. Raymond said he shot Wade because he was in fear for his life, and he turned over a loaded .32 caliber Smith & Wesson revolver that he said he kicked out of Wade’s hand. Later tests showed that it had not been fired and bore no fingerprints. A jury awarded Wade’s family $2.5 million in 2000 after they filed suit against Raymond and the county. During the civil trial stemming from Wade’s death, the family’s attorney, Frederick K. Brewington, showed personnel documents that revealed Raymond had been the subject of 19 civilian complaints during his tenure with the NYPD before joining Nassau’s department. The complaints, which ranged from the use of racial slurs to assault, were all ruled unsubstantiated. Raymond also had been arrested twice, according to news accounts of the case. When he was 18 and working at a gas station in 1982, he was charged with stealing $250 in receipts from the gas station and falsely reporting that there had been a robbery. The charges were dismissed. Then in 1989, while he was still with the NYPD, a Queens grand jury indicted Raymond for official misconduct in connection with an on-duty altercation at a bar. The indictment was later dismissed. Wade’s family filed a second lawsuit accusing the county of negligence in hiring Raymond, but Brewington offered to drop it if the county agreed to set up an independent civilian review board for citizen complaints. The county refused, and a judge ultimately dismissed the lawsuit. In subsequent years, Raymond was named as a defendant in four more federal lawsuits alleging excessive force. In two cases, juries ruled in favor of the cops and a third ended in a judge’s dismissal. A fourth lawsuit, filed in 2009 against Nassau County, Raymond and five other cops, was settled with a $255,000 payment to plaintiff Louis Martire, according to Gregory Calliste Jr., Martire’s attorney. Raymond retired in 2012. He collects a $123,303 annual pension. 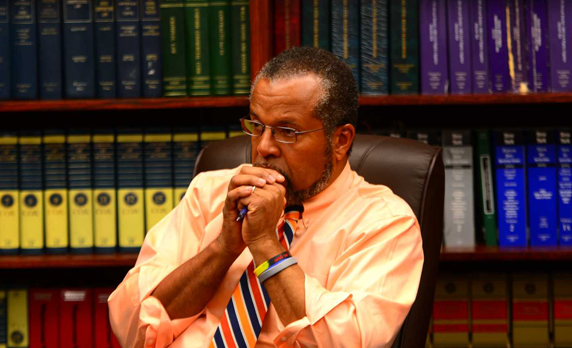 Brewington, a Hempstead civil rights attorney, has obtained millions of dollars in settlements or judgments for clients alleging misconduct by Long Island police officers. He calls officers like Raymond with a history of problems “repeat performers,” and said they make it easier for him to mount credible cases. “The fact that someone is a repeat performer does make a difference,” Brewington said. Lawmakers passed New York’s Freedom of Information law in 1974, opening government records across the state to the public in the name of transparent democracy. But just two years later, lawmakers decided the law should not apply to police discipline. Lawmakers wanted to prevent criminal defense attorneys from attacking officers on the witness stand with allegations from their personnel files, documents filed with the bill show. Records used to evaluate a police officer’s performance were only to be released with a judge’s ruling that they’re relevant to a case. Otherwise, the file is considered confidential — a protection most government employees don’t enjoy. Law enforcement officials supported the bill, but others warned that it was too broad. The state Civil Service Commission said it was unnecessary, as did the state Division of Budget, which noted that the existing system already gave police departments several opportunities to ask judges to rule disciplinary files irrelevant to the cases before them. Today, Long Island’s law enforcement agencies use 50-a to deny requests for information about internal investigations or complaints against cops. Even when attorneys do get a judge’s ruling granting them access to a personnel file, that disclosure typically is made under a confidentiality stipulation. Suffolk PBA president Noel DiGerolamo said the protections afforded to police by 50-a are necessary because police are compelled to testify when called into Internal Affairs. Nassau PBA president James Carver did not respond to calls for comment. Newsday filed a lawsuit against the Nassau County Police Department this year seeking police records related to the Jo’Anna Bird murder, arguing that the department applies 50-a more broadly than the law allows. A confidential internal affairs report stemming from Bird’s death at the hands of her estranged ex-boyfriend could name as many as 22 Nassau officers who violated department rules, according to various officials who have seen the report. The county paid Bird’s family $7.7 million to settle a lawsuit alleging that officers had been negligent in enforcing an order of protection against the boyfriend. Police misconduct records are open to the public in at least 27 states, according to the Committee on Open Government. In some, such as Florida, members of the public can request internal affairs investigations as soon as they’re concluded. Freeman said his organization’s call to repeal 50-a has gotten little traction with lawmakers, who are wary of running afoul of New York’s influential police unions. “The reality is the unions would oppose any change, and the unions are a hell of a lot stronger than the rest of us,” he said. Police unions and related groups have pumped almost $15 million into state, county and town political campaigns outside of New York City, according to a Newsday analysis of state campaign finance records since 1999. Nearly $5.5 million came from Long Island, where dues from six-figure police salaries come from more than 6,000 members. Police unions have given more than $100,000 each to Nassau and Suffolk County District Attorneys Rice and Thomas Spota, $119,000 to Suffolk County Executive Bellone and $98,000 to Mangano. Rice, Spota, Bellone and Mangano did not respond to calls for comment. Paul Sabatino, a municipal law expert whose 30 years of county government experience on Long Island includes stints as the former counsel to the Suffolk Legislature and Suffolk’s former chief deputy county executive, said the police unions have a “disproportionate amount of influence” over local politicians. In Albany, state laws proposed to address misconduct or increase oversight have gone nowhere. One bill would have called on state troopers to investigate DiLeonardo’s shooting of the cabdriver the night it happened. 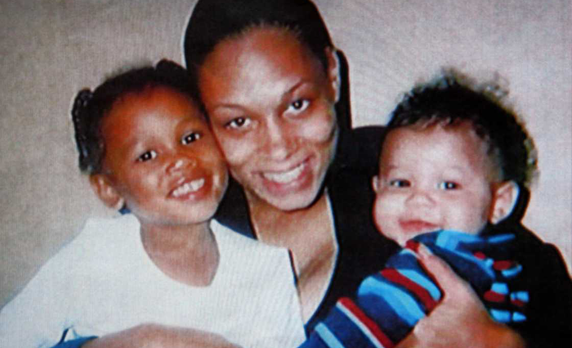 Another would have given the state attorney general power to investigate police misconduct. Both failed, as have more than 50 attempts to increase oversight of police since 2009, according to a Newsday review of proposed state laws. Long Island’s delegation has received nearly $1.4 million from police unions, including almost $350,000 to Senate co-leader Dean Skelos (R-Rockville Centre). Skelos spokesman Mark Hansen said there is no connection between campaign contributions from police unions and the inability of police oversight bills to make it through the legislature. 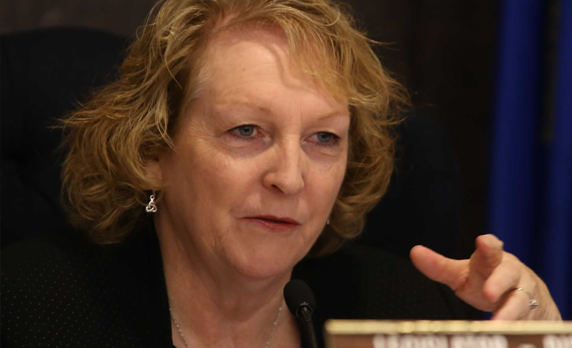 “Any bill is considered on its merits and any attempt to suggest otherwise is preposterous,” Hansen said. New York State agencies have the power to end careers for misconduct by barbers, chiropractors, security guards, interior designers and more than 70 other professions — but not police. State records publicly available over the Internet show Bayside chiropractor Peter Kalkanis had his license to practice revoked in September after he was convicted of petty larceny, a misdemeanor. 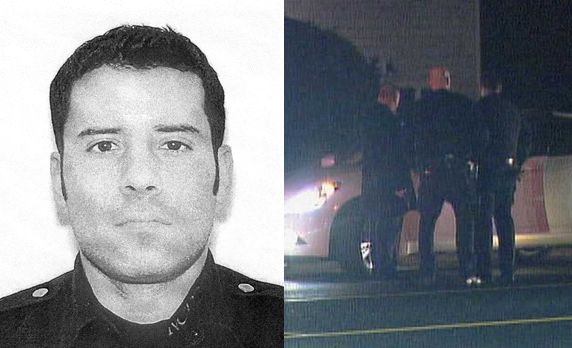 Meanwhile, Nassau Police Officer Craig Buonora pleaded guilty in 2005 to third-degree criminal perjury, a misdemeanor, after lying to a grand jury about finding a 9-mm pistol on the ground — evidence that was used to charge a suspect with criminal possession of a weapon, a felony punishable by up to seven years in prison. 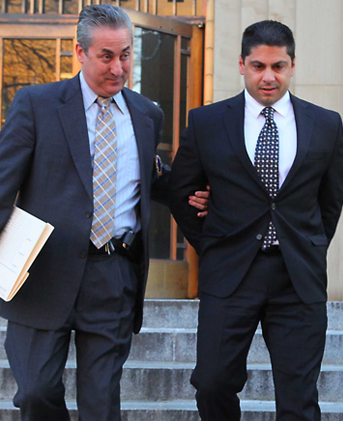 “I thought I was helping the district attorney with her case,” Buonora told investigators. Buonora remains a Nassau police officer, earning $135,076 in the most recent budget year. He declined to comment. In Connecticut, Buonora would have faced a state review, with his career as a police officer there on the line. In Florida, his career would end automatically: The law there bans those convicted of perjury from being police officers. Another beneficiary of this lax system is Nassau’s DiLeonardo, who internal affairs investigators recommended face 19 departmental charges — including felony assault, felony criminal use of a firearm and felony reckless endangerment — after shooting and beating cabdriver Thomas Moroughan in Huntington Station in 2011. DiLeonardo is still a Nassau police officer. Newsday reported in June that the details of the case were hidden until a reporter discovered that confidential police documents had accidentally been included in the court file of the federal lawsuit Moroughan filed. Suffolk District Attorney Spota, whose investigators helped contradict DiLeonardo’s version of events in 2011, did not convene a grand jury into DiLeonardo’s actions until after Newsday published its story. The results of that grand jury investigation are unknown. Spota’s office did not respond to repeated messages requesting comment. DiLeonardo would no longer be on the job if he were an officer in Florida, said Glen Hopkins, bureau chief of standards at the Florida Department of Law Enforcement. Under Florida law, Nassau’s investigation into DiLeonardo would be forwarded to Hopkins’ bureau, where a board would review the case. “The multiple counts that you’ve got there — he would be gone,” Hopkins said of DiLeonardo. In Arizona, DiLeonardo’s case would have been reviewed as soon as the state became aware of it, said Lyle Mann, executive director the Arizona Peace Officer Standings and Training Board, made up of police, state officials and citizens. Given the felony assault charge alone, “the board would probably revoke him,” Mann said. Roger Goldman, a St. Louis University law professor and an expert on police licensing, estimates that 27,000 officers have lost their licenses across the country. Advocates for licensing acknowledge most states’ laws are imperfect. For example, nearly half of the 44 states that license can only revoke for a criminal conviction, Goldman said. But other states can strip officers’ licenses based on a lower standard of proof than required for a criminal prosecution and some can initiate their own investigations into problem officers. Such a system does allow for oversight by an agency other than the officer’s department, which can be influenced by local political ties. And licensing is not tied to union contracts, Goldman said, making it particularly helpful in departments where restrictive contracts make it difficult to discipline officers. The International Association of Directors of Law Enforcement Standards and Training recommends that states license police, said Michael Becar, the group’s executive director. The six states that don’t have any controls, like New York, seem to be “where the problems occur,” he said. Arizona’s licensing board decertifies any officer caught driving drunk, lying to internal affairs investigators or shoplifting. Mann said the nature of police work makes it even more critical to hold officers accountable. Local elected officials have done little to exercise oversight over police and have negotiated away critical tools for discipline. In January 2007, Nassau County approved an agreement with the Police Benevolent Association that prohibits the county from using the GPS systems installed in patrol cars to check up on wayward officers. “The county agrees not to use GPS technology of any kind to initiate discipline against any police officer, although it may be used for all other lawful (including evidentiary) purposes,” the agreement says. An analysis of GPS records would have likely flagged Michael Tedesco, the Nassau police officer accused of spending more than 80 of his shifts with mistresses rather than working. The department only opened an investigation into Tedesco after a neighbor complained that his patrol car was parked in a driveway for hours at a time. Prosecutors brought a 109-count indictment against Tedesco in December 2012, charging him with tampering with public and business records and official misconduct. The case is pending. Tedesco’s case has been just one of many public embarrassments that could have prompted legislative scrutiny of misconduct. Within nine days this summer, the public learned the details of the DiLeonardo shooting and that Suffolk Police Chief James Burke had allegedly punched a suspect accused of stealing items from his SUV. In addition, a state commission released a report stating that Daniel McDonnell’s 2011 death in custody — which came after officers shot him with a stun gun numerous times and pinned him to the floor as he yelled for his medication — was a “preventable” homicide. Yet in the next meetings of the Nassau and Suffolk Public Safety committees, lawmakers mentioned none of the cases. Nassau’s meeting lasted only seven minutes, which is not unusual. Since 2007, 80 percent of the committee’s meetings lasted less than half an hour. Half ended in less than 10 minutes. Neither Nassau nor Suffolk’s committees have discussed police misconduct even once since 2007, a Newsday review of its minutes show. The seven members of the Suffolk Public Safety committee received more than $125,000 combined from law enforcement groups and unions, Newsday’s analysis shows. Six of the seven members of Nassau's committee have received contributions totaling nearly $90,000. Occasionally, legislators on Suffolk’s committee have had questions about incidents, committee chairwoman Kate Browning said. But those have been handled in executive session or in private meetings. The committee’s hands are often tied by lawsuits and union contracts, she said. Nassau chairman Dunne said lawmakers, in a 2012 vote, gave back to the police commissioner some disciplinary powers after surrendering them in the 2007 agreement with the police union. The change, which was backed by a state supreme court justice earlier this month, was prompted by the murder of Bird by her estranged boyfriend. Dunne told Newsday that he trusts that Nassau Commissioner Dale has punished officers appropriately for misconduct. Less than a month after that interview, Mangano ousted Dale. But, aside from the Bird case, nothing warranting attention from lawmakers has come up, Dunne said.